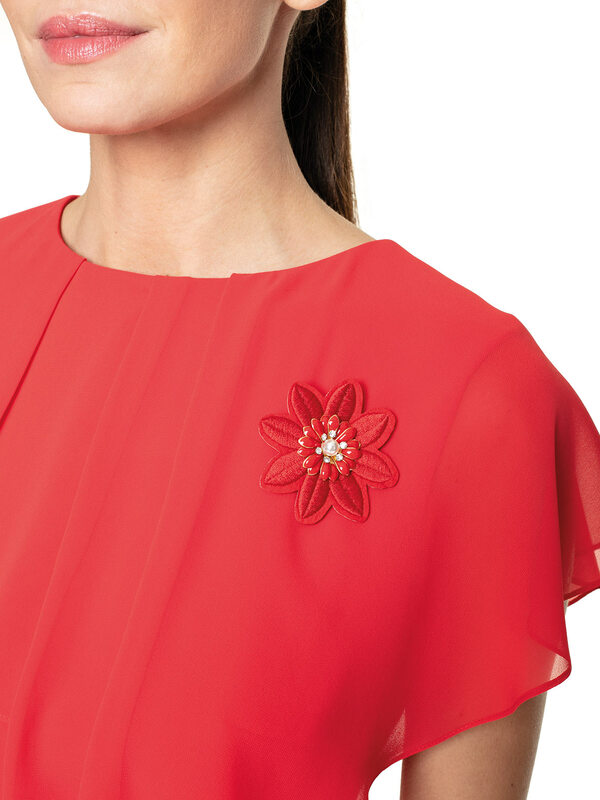 Decorative Abri blouse will allow you to create more than one elegant style! 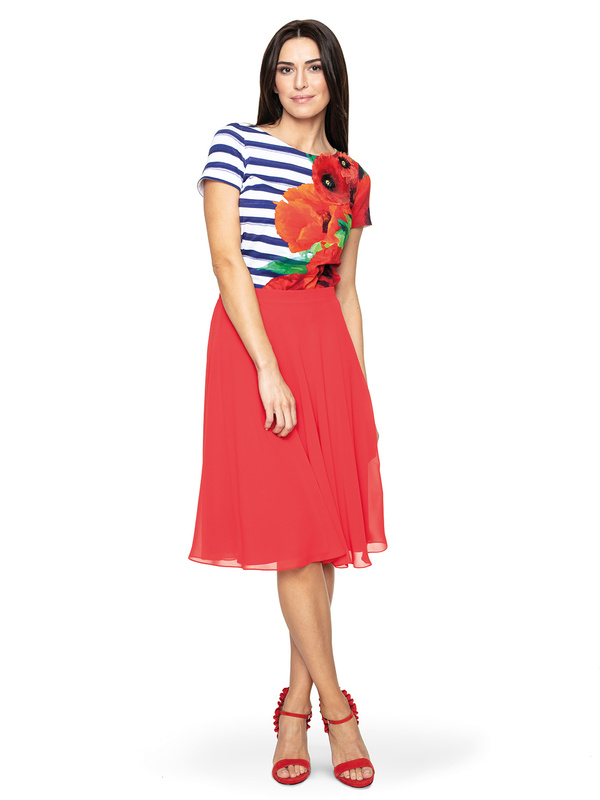 This bright red blouse will appeal to brave ladies. Abri has a shapely cut, freely flowing silhouette. At the top it is decorated with an elegant frill and a decorative floral application. 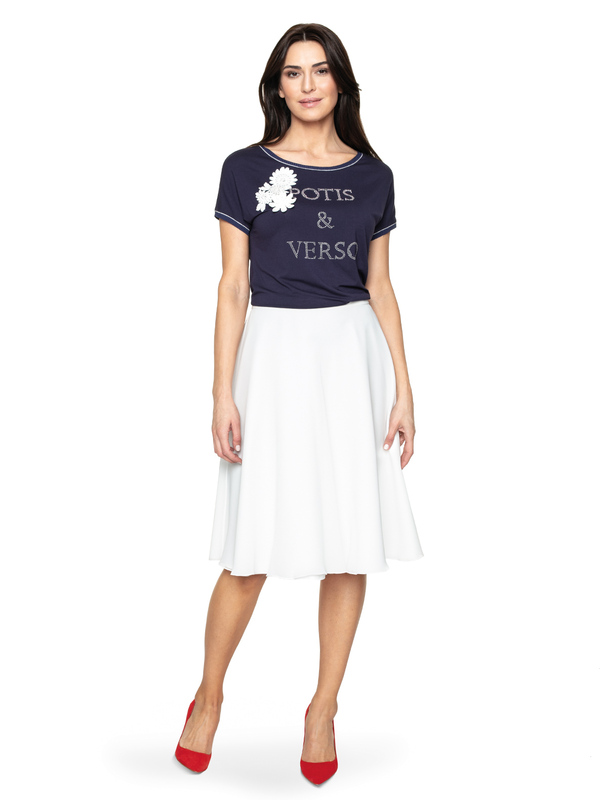 Compose a blouse with a skirt of the same name from the spring-summer collection by Potis & Verso. You can also balance it with a calm, smooth bottom and even more feminine shapes. Then opt for dark, tube-shaped trousers or a close-fitting graphite skirt. Choose high shoes or high-heeled sandals in a very intense colour.